Indie developer Elden Pixels has confirmed Alwa's Awakening, the 8-bit-style platformer that combines NES-era looks with modern mechanics, will be heading to Nintendo Switch in time for the summer. Originally unveiled in 2015, the throwback was initially slated for Wii U before the arrival of Ninty's new hybrid hardware shifted the studio's focus to a new platform (as well as releasing its soundtrack on a NES cartridge). You'll be able to explore a large interconnected map in true ‘Metroidvania’ style, with plenty of upgrades to unlock and items/abilities to find. With an optional Assist mode (offering quick respawns and the option to turn item locations on and off) and a completely new 8-bit soundtrack with over 25 new original tracks to listen to while you're at it, this new and improved version sounds like a moreish mixture of new and old. not sure, if i'll get it... i have my eyes on bloodstained: curse of the moon than this game right now. That being said, the game itself DOES look pretty fun, and (i suppose) that's what matters most. But can we please move onto 16 bit just a little more often? Lol, games like Fox n Forests could use some competition in the looks department. Keeping an eye on this! Looks cool. Might look into this. It's an OK game, but very easy and very short for the price. I completed it in about 4 hours and there wasn't much motivation to jump in for another playthrough. @RedMageLanakyn That’s disappointing to hear. I liked the look of it, but I refuse to by sub-10 hour games. I’d rather watch a movie instead. This looks like a nice, charming little throwback. This game is great. It took me about 8 hours to beat the first time, which is an average length for this kind of game. If you like Metroidvanias, give this one a shot. I've always wanted to kill Orko. Now I can! I am usually pretty critical of the "let's mimic the early 90s NES" games. But this actually looks and sounds pretty interesting. There's something about the music and graphics of the 8-bit (16 and 32-bit too) era that just feel like REAL video games. They're completely unique to video games. After that, things start to become a bit too realistic or movie-like. Not everything! But that just seems to become more common. @KingdomHeartsFan Arcade video games certainly give me a bigger rush than cinematic realism simulators. @TearyIsaac 8 hours sure sounds better than 4 hours. I’ll keep an eye on it, hopefully it comes with a demo. @RunninBlue Hey, developer here! I think 7-8 hours is pretty normal for a first time run in Alwa. On release day, some streamers ended up around 12 hours. Then they went back to collect everything. Hope you take another look on Alwa when it's released. Can't confirm a demo of the game on Switch yet, sorry about that. Been on my radar for a while, coming to switch is an instant buy! @AnderssonKev Thanks for the info mate, I’ll definitely keep my eye on it. I really like the look and sound, I was just worried about the length. I’ll check out some hands on impressions and/or reviews. Interesting but like many would have preferred a 16-Bit look. Despite starting with a NES I believe the 8-Bit look hasn’t aged well. The likited colour palette always makes it look darker, simpler and less immersive. It will certainly have a hard time standing out from the crowd. Hopefully the dev's next thing is a bit more eye-catching. Also a small nitpick, but I think the blue bricks in the top screenshot are a bit too bright. Darkening them would give the scenery more depth and make the distinction between foreground and background clearer. 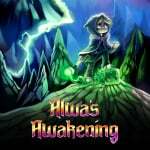 Developer (Programmer) of Alwa's Awakening here, if you've got questions. Just let me know and I'll try to respond to them! Thanks for checking out our trailer. 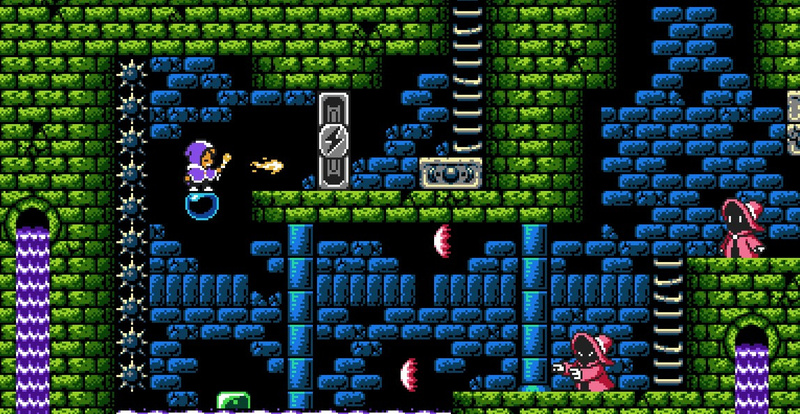 Personally, I think these retro style games are great and Alwa's Awakening is definitely one to consider. Though I do echo some of the comments above that it would be great to have more 16 bit style games; since it was the golden age of gaming. Looks pretty good. A little slow with movement but I like the “easy” mode info as some of the dated mecahnics of older style games frustrate me. I will be getting this for the backlog, A Robot Named Fight is my current retro game and it is fun as can be. @AnderssonKev Is there much to do/collect after the story has been completed? Extra modes, collectables, secret areas unrelated to the story. @AnderssonKev : Any chance of a physical release? I'd pay $30.00 for it. @KingdomHeartsFan There are 99 collectibles and some rather hidden items for you to collect. A small area unrelated to the story somewhere in the world. @KnightRider666 We'd love that, but we can't confirm anything at the moment. We are no strangers to making physical copies of games from our last jobs, but we haven't gotten there yet with Alwa's Awakening. I loved this game. I have it on Steam. Played it about 8 hours and then I got stuck on a boss (I think it's the second to the last). Haven't played it since, but it doesn't matter, it's still an amazing game. My philosophy is that games should be allowed to beat the player and whenever that happens I accept it. Doesn't take anything from the game's greatness if I can't beat it. I don't have a Switch so I'm not going to buy it there either, but thought to comment it a bit. I found it to be an underappreciated gem on Steam. @diablo2 I feel the same way. I'm always asking myself why the 8-bit era specifically when the 16 bit era is a significant improvement over the 8 bit era. @AnderssonKev: Please make it happen!